A classic chalice shaped award with long stem and deep bowl. 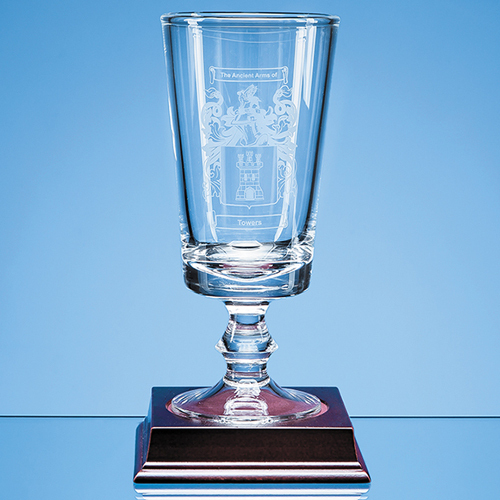 This 20cm handmade glass chalice is ideal for awards presentations or to commemorate an event or occasion. There is space to engrave an inscription, crest, logo or coat of arms. A wooden plinth to mount it on is also available. Plus, why not consider presenting it in one of our beautiful, satin lined presentation boxes?